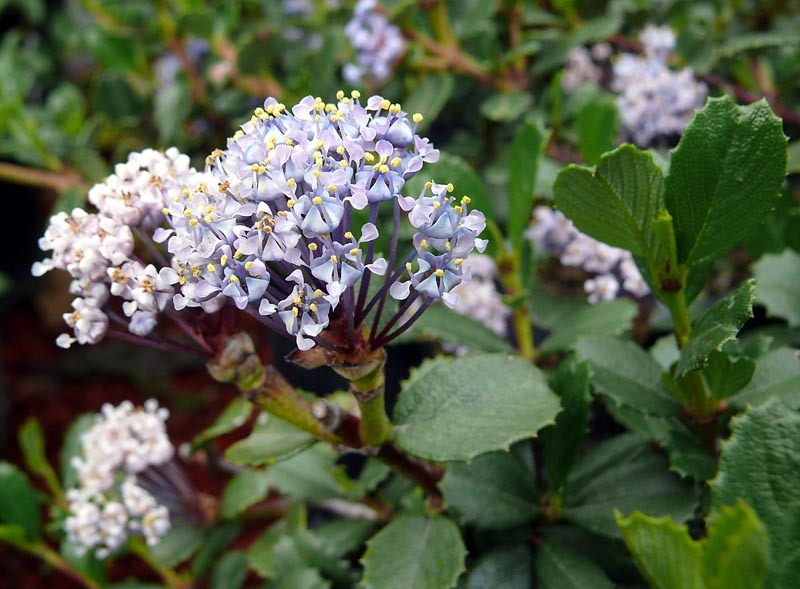 Low-spreading shrub with rich dark green leaves, light lilac blooms in spring. 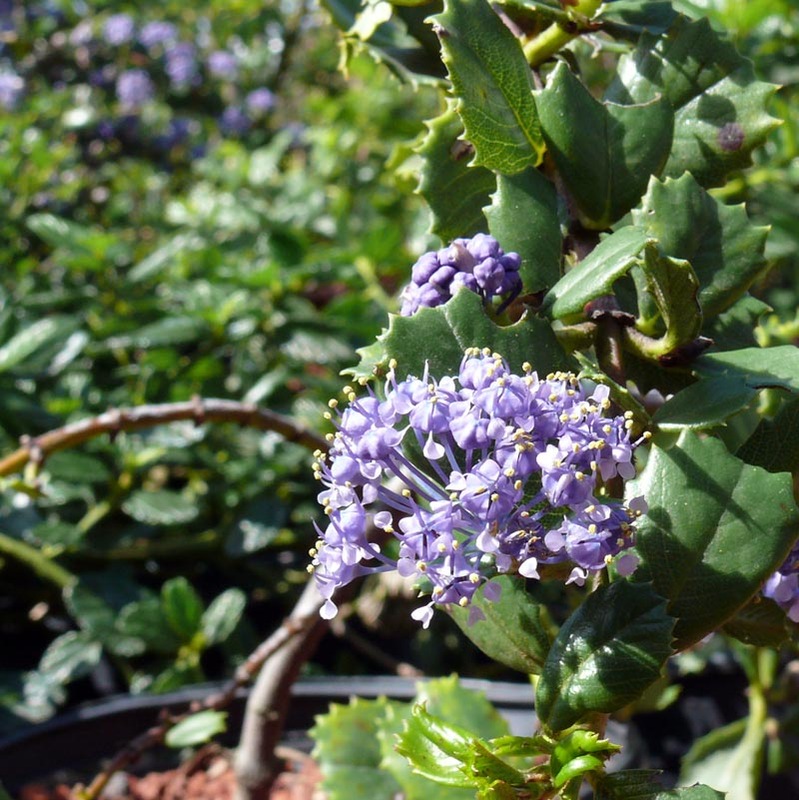 Edible seeds are favored by native birds. great for Coastal locations. Deer-resistant, cold-hardy, doesn’t like temps over 100F.